Homeowners would agree that having an organized kitchen is a never-ending task. Subjected to constant additions and subtractions, it can actually be difficult to keep the space clutter free without overlooking the important aspect of design. If you have lately been finding yourself struggling with the overflow, we have today compiled a list of 9 ideas that can help you create a modern smart kitchen with minimal to simple modifications. 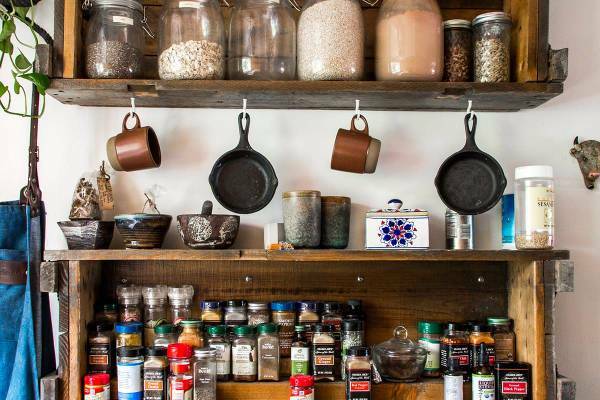 Organize your pantry by creating inbuilt shelves in the kitchen, this will help you utilize the empty space in the wall and clear out some area on the counter and table top. 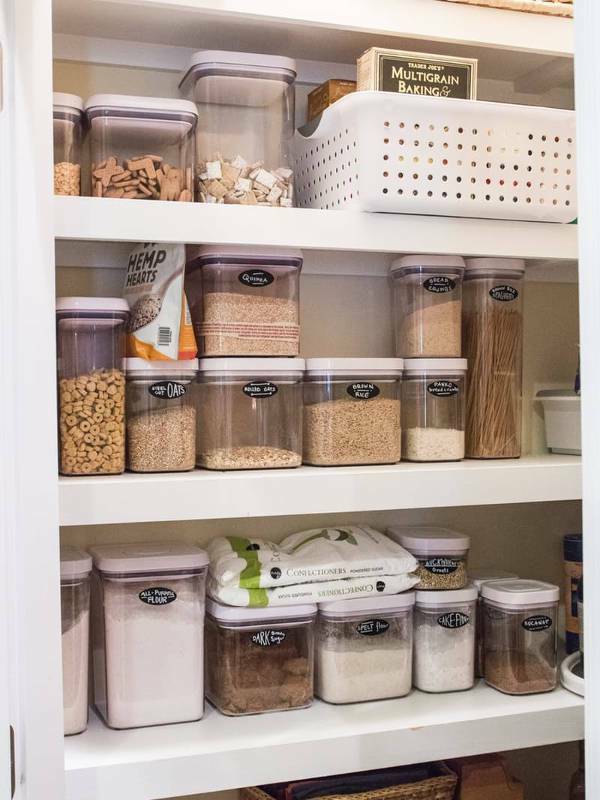 While organizing your pantry, try and opt for clear containers so that you don’t have to go through all the trouble of opening the lids to find the required content. One of the most talked about trends in the kitchen sphere, the smart kitchen drawers will not just help you curtail the mess but also put all the loose pieces in order without having you search all over the kitchen for that one piece of knife or spoon. If you have multiple small containers and boxes in your kitchen, try and create some extra counter space by incorporating a sleek wooden bench that sits well on the counters and also complements all styles and decors of the kitchen. 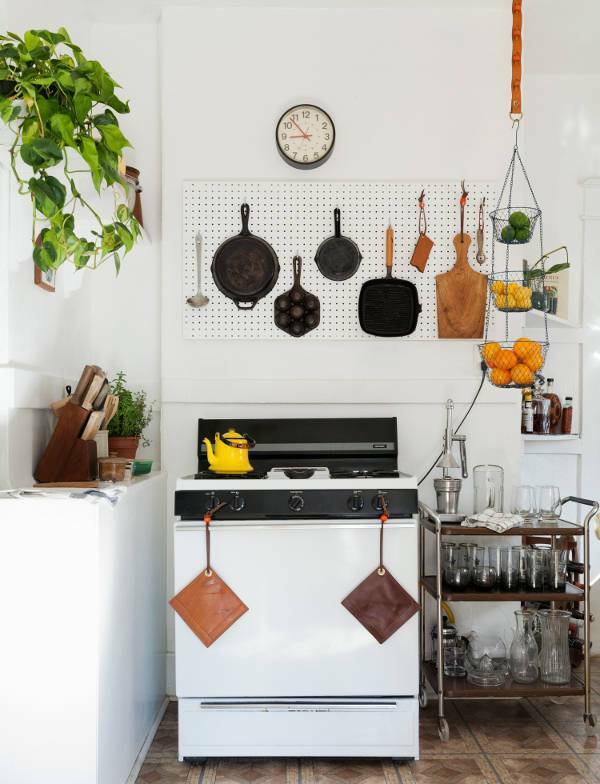 Try and install a pegboard over your stove to keep all the majorly used items at arm’s length. Available in the wide variety of colors, you can easily match one to the decor and theme of your kitchen. 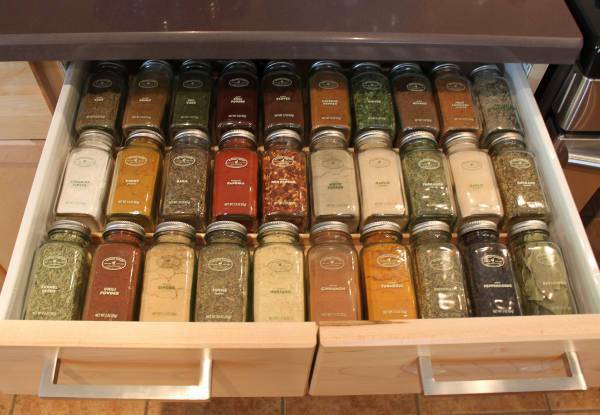 Organize the spices in the kitchen with the help of rotating brackets. You can prioritize the spices as per the daily use and requirement and also make sure to keep them close to the cooking station. Storage containers all sorted and assembled in a separate cabinet will help to make your job a whole lot easier. 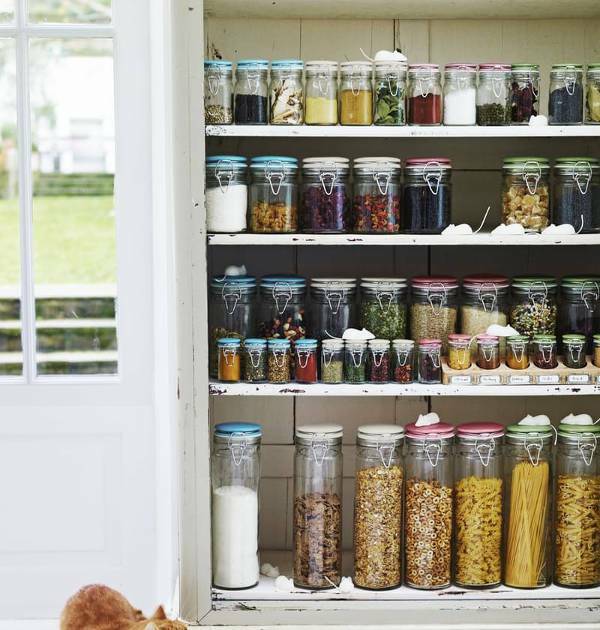 Try and go for jars that take up less space while storing a large amount of kitchen stock. 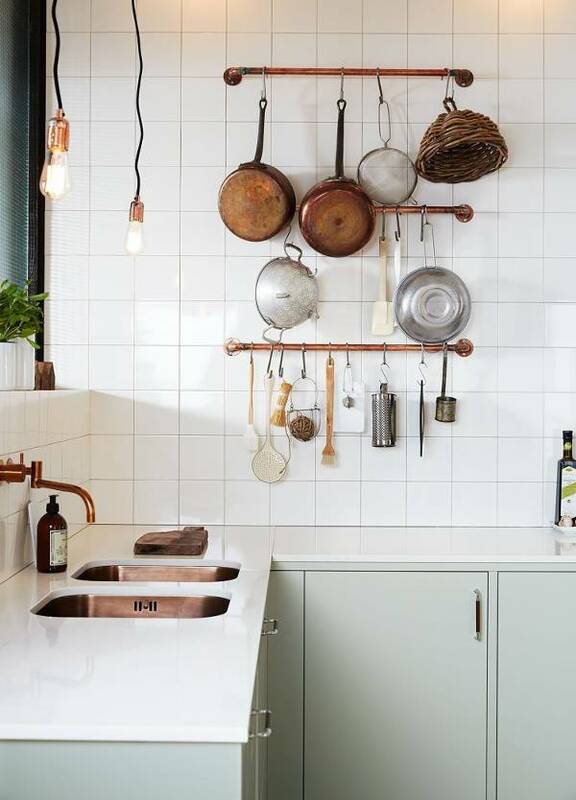 The very useful and stunning metals like antique brass and copper along with being hot and trending in the interior sphere also offer good storage solution in the kitchen. Try and incorporate the metals in the form of knobs and rods for increasing the hanging storage space while also lending a plush and refined touch to the kitchen. 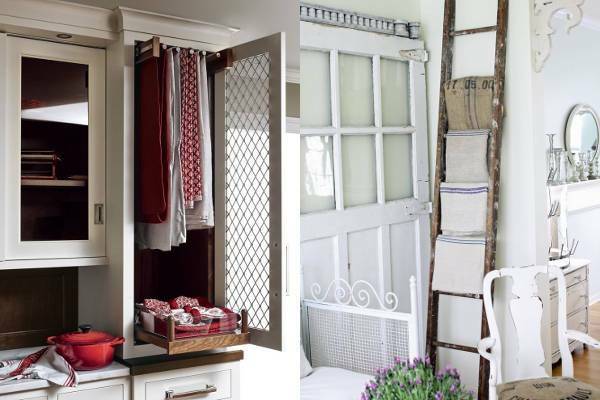 Don’t the let the loose and scattered linens create a look of an unkempt kitchen, try and make separate space for napkins, dishtowels, and tablecloths and place them tight and neat either in drawers or shelves. If you look closely your kitchen might be overloaded with the things you don’t want. Whether it is gross sponges or cracked glasses or unused mugs try and eliminate the things that are just taking up space and not solving any purpose. 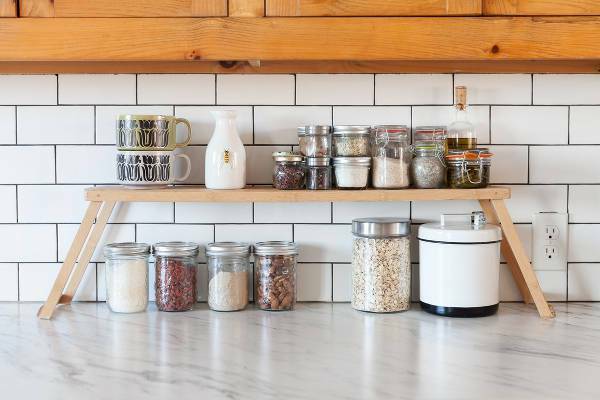 Opt for these 9 ingenious ways and create a more organized and settled kitchen with little to no efforts required.